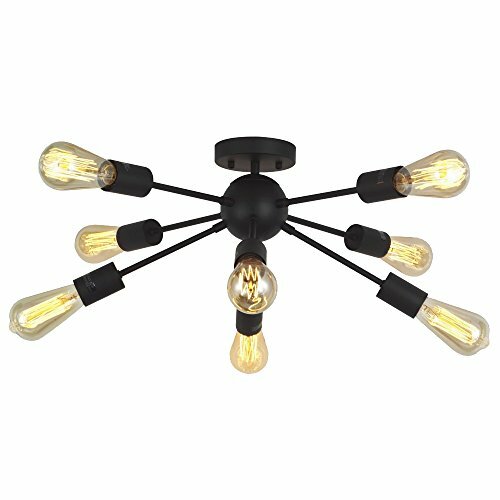 -Metal Chandelier Lighting, antique vintage Style.One 8-socket Brass ceiling flush mount fixture with matching stem and canopy. -Easy to install:includes all mounting hardware for quick and easy installation. -Compatible with any incandescent or LED bulbs(Bulbs Not Included)with E26 base type.